Closed On: Monday, September 3, 2012 6:16 PM. 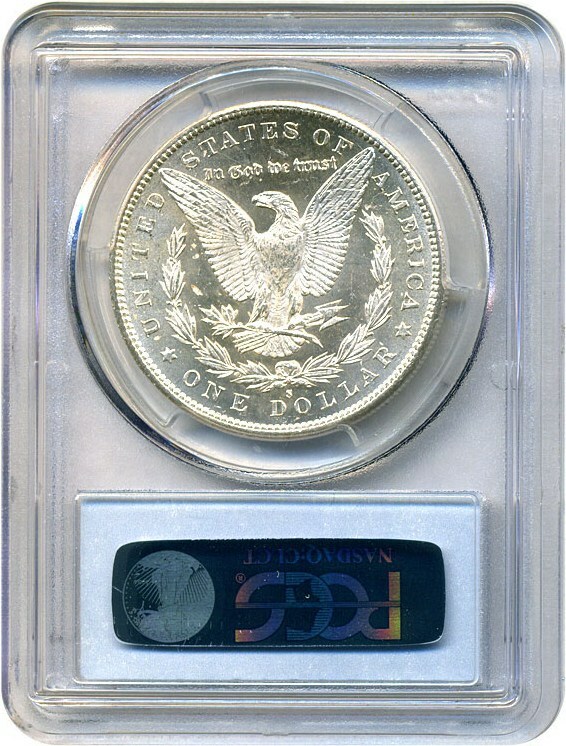 Beautiful, pure white example of this key issue -- so close to gem. 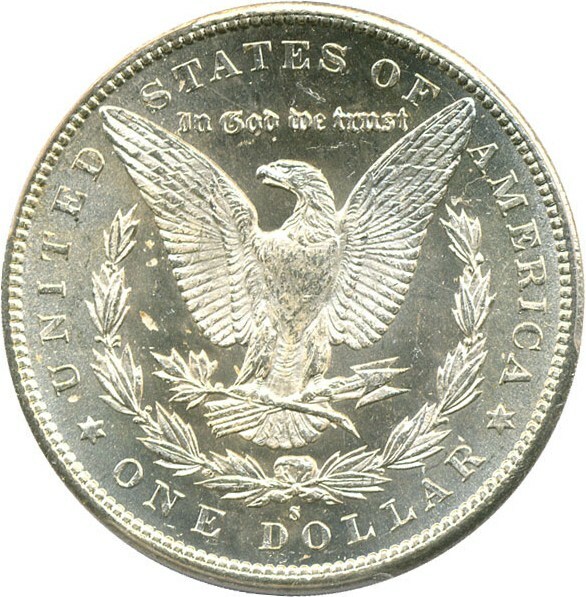 The 1895-S is one our favorite dates in the series as a sleeper issue that is surprisingly difficult to locate in AU and above. CAC approved for quality and eye appeal. 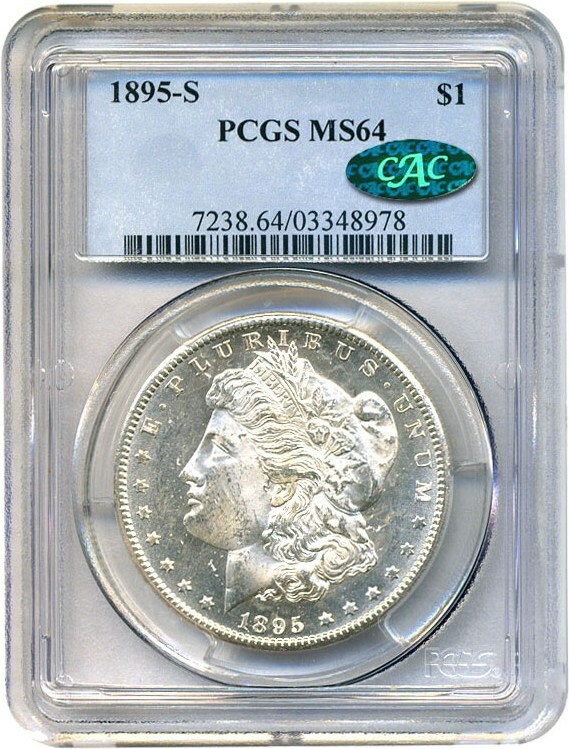 CAC is a third party grading service that grades the grading services (PCGS & NGC) and only approves the best coins in holders. 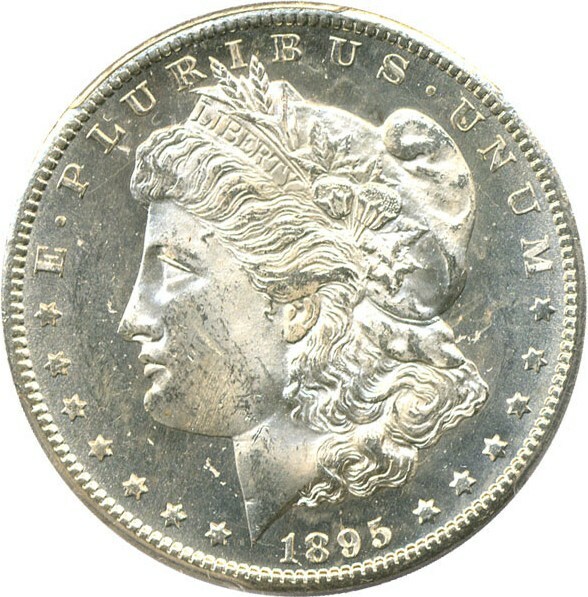 CAC coins have been bringing significant premiums at auctions as more and more collectors are demanding the sticker before they buy.